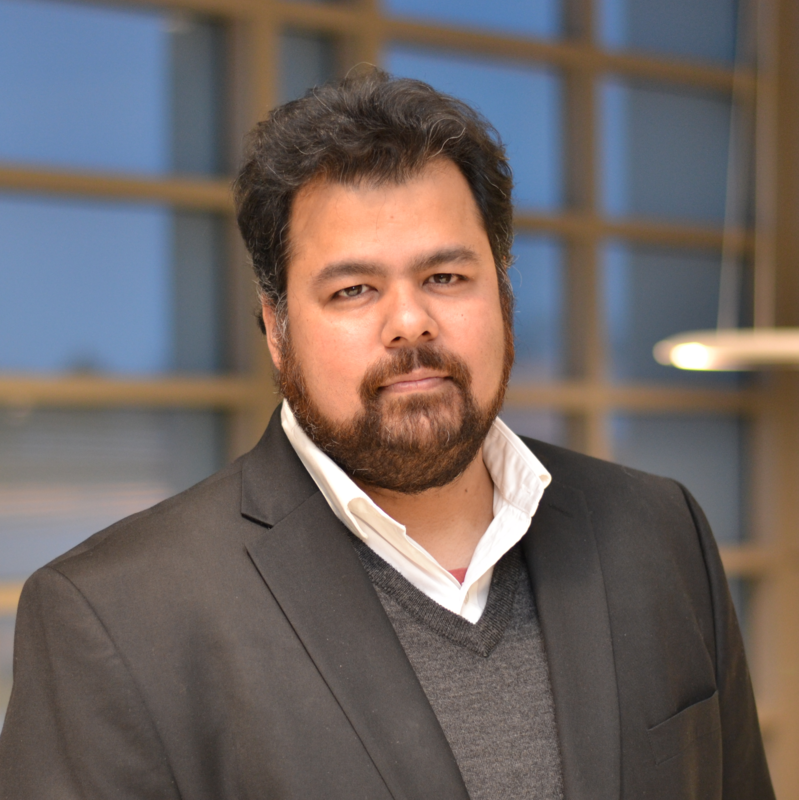 Gaurav Chopra is an Assistant Professor in the Department of Chemistry at Purdue University and a member of the Purdue Center for Cancer Research and the Purdue Institutes of Data Science, Drug Discovery, Integrative Neuroscience, and Immunology. His laboratory brings together four very different fields of science, namely, chemistry, immunology, machine learning, and computer science to study chemical environments from atomic to molecular to cellular scales with a theme of model based chemistry. Chopra obtained his Ph.D. in computational structural chemistry/biology with Dr. Michael Levitt (2013 Chemistry Nobel Laureate) at Stanford University developing proteome scale methods for drug discovery. As a JDRF fellow, he trained in experimental immunology with Dr. Jeffrey A. Bluestone (University of California, San Francisco) to understand and chemically perturb the role of regulatory T-cells. Chopra is interested in developing analytical and computational methods to understand and chemically perturbing immune microenvironments with an application to combat disease by developing cell-specific synthetic molecules by degrading protein networks and by chemically engineering live cells that can also be used as drugs. His lab develops proteome-scale modeling methods, uses machine learning, immunological, and synthetic chemistry methods to discover, design, synthesize and verify chemical entities/tools that guide experiments done in his laboratory for studying immune cell subtypes (such as myeloid-derived suppressor cells and microglia). Chopra and collaborators in schools of medicine worldwide have used this approach to identify putative drug leads (new synthetic leads, combination of existing drugs) using in vitro and in vivo preclinical studies for more than 10 different diseases including cancer, immunological, metabolic, infectious and genetic indications (castration resistant prostate, invasive bladder cancer, type 1 diabetes, dental caries, dengue, herpes, drug resistant tuberculosis, etc). He has published a range of papers in PNAS, Cell-Immunity, Drug Discovery Today, Journal of Clinical Investigation and Immunology, Bioinformatics among others. Chopra is passionate about innovation in the area of education and engaging the public for molecular visualization and discovery. His group has developed a virtual reality environment toolbox for molecular exploration, MINT (Molecular Interactions using New Technologies), as an educational and scientific research “game” where the chemistry principles of molecular interactions are taught using a dynamic immersive environment guided by his group's software suite, CANDIY (Chemical Algorithms for Network based Decisions on Interactions for modeling reactivitY). The goal of MINT game is two-fold: discover chemistry concepts using a gaming environment to make it fun, and, to engage citizen scientists by crowdsourcing this game with a vision to enhance computational chemistry algorithms.